You are at:Home»Uncategorized»Book him, Danno. Are you ready for your close up? Ten Joint Base Pearl Harbor-Hickam, Hawaii certainly were camera ready. 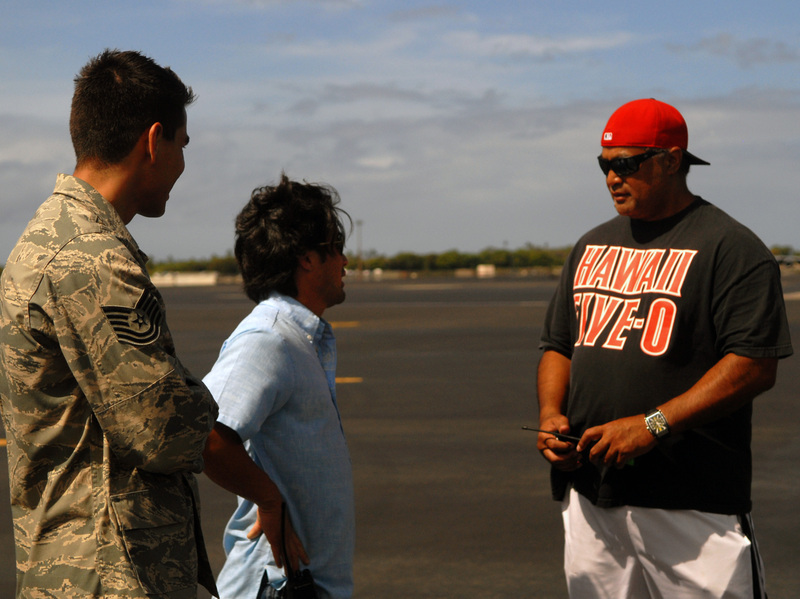 They were recently part of the filming of an episode of “Hawaii Five-O” shot at the 15th Wing on July 20, according to public affairs. The airmen were highlighted doing their everyday jobs on the base and could end up in the final shot of the episode. This shoot was the second time that the production came to the base. An episode was shot on base last year, according to Key Assistant Location Manager Kent Matsuoka. The show regularly involves the military in its scripts and stories, according Angela Laprete, a production supervisor.